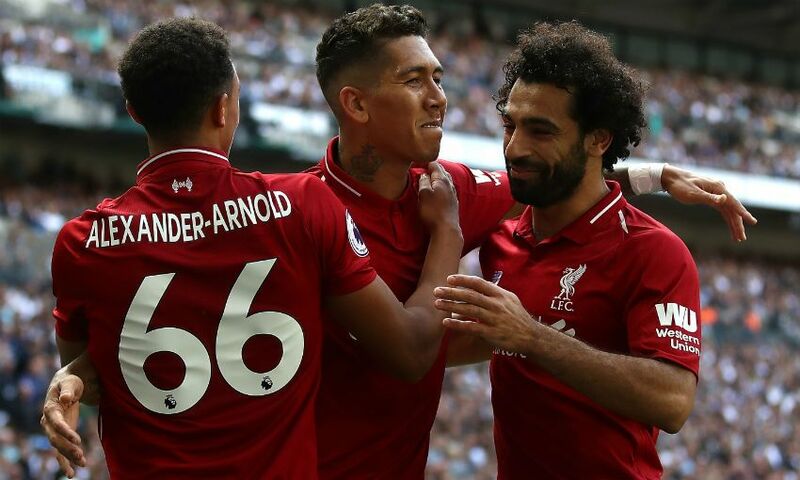 Roberto Firmino and Mohamed Salah could set a new Liverpool goalscoring record against AFC Bournemouth on Saturday. No Reds player has ever netted in three successive games versus the Cherries - meaning Firmino and Salah will break new ground by doing so at the Vitality Stadium. This will be the 14th meeting between the clubs across all competitions, with Liverpool winning nine, drawing three and losing one of the previous encounters. The Reds have scored 30 times in those games, while conceding 11. The Reds have scored first in 12 of their 15 Premier League outings this season - winning 11 and drawing the other (v Arsenal) of those matches. The only team in the last 23 top-flight fixtures to net more than once in a game against Jürgen Klopp's side was West Bromwich Albion in a 2-2 draw in April. Liverpool won last season's clash on the south coast 4-0 - their biggest ever victory over Bournemouth. Philippe Coutinho, Dejan Lovren, Salah and Firmino were on the mark. No Reds player has scored more times against Bournemouth than Firmino. The Brazilian's three goals put him level with Harry Chambers. Liverpool have not lost any of the 23 away matches in all competitions in which Firmino has netted (20 wins, three draws). If selected, James Milner will become the 13th player in the Premier League era to play 500 games in the competition and the third to do so with the Reds, after Jamie Carragher (508) and Steven Gerrard (504).